The Swiss-based MCH Group, which owns the Art Basel franchise, is once again expanding its global portfolio of art fairs with the launch of an event in Singapore next autumn. The new fair is a joint venture between MCH Group, Sandy Angus of Angus Montgomery Arts and the events organiser Tim Etchells. It is not the first time the three parties have worked together. In 2008, Angus and Etchells launched Art HK, sparking investor interest in Hong Kong. The fair became a hit, with Art Basel buying it out in 2013 to create Art Basel in Hong Kong. Around 80 galleries from Singapore, Southeast Asia and beyond are expected to take part in the first ART SG fair, which opens at the Sands Expo and Convention Centre at Marina Bay Sands on 1 November (until 3 November 2019). Applications are due to open later this year, but dealers have already shown “strong interest”, according to a spokeswoman for the fair. In a joint statement, Angus and Etchells say Singapore deserves an art fair of significance. “It is the right time for Singapore, as a flagship art city and key art centre of Southeast Asia,” they say. 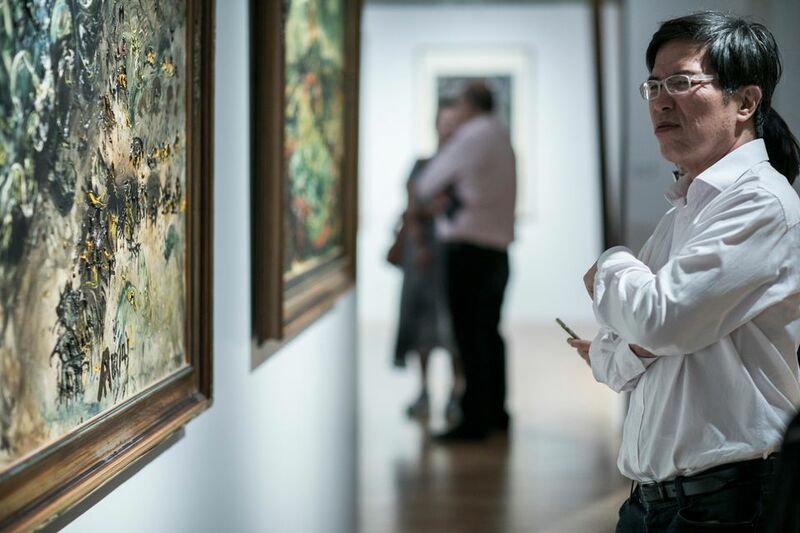 “It is less than a two-hour flight from every major city in the ASEAN zone which represents a collective market of 620 million people, significantly larger than that of North America, the Eurozone or the Middle East.” Institutions such as the new National Gallery and the Singapore Art Museum are markers of how “firmly established” the Singapore art scene is, they add. However, there have been question marks over the Singapore art market, with high rents and censorship cited as issues. Art Stage Singapore, which launched in 2011 and is the anchor of Singapore Art Week in January, saw a steep drop in gallery numbers this year: 84 down from 131 in 2017 and 170 in 2016. In May, Art Stage announced it was cancelling the 2018 edition of its Indonesian sister fair, Art Stage Jakarta. Nonetheless, Angus and Etchells say Southeast Asian collectors “have grown steadily over the years and the art scene is providing new areas of opportunity”, noting that Singapore is now ninth in the world in terms of household wealth per adult and number one in Asia. “ART SG will work to galvanise the Singapore art scene, and our desire is that the entire sector in Singapore benefits from the fair, whether they have a direct investment or not,” they say. Indeed, there are other signs of growth in the market. A homegrown art fair, SEA Focus, is due to launch at Gillman Barracks in January with around 40 galleries, 50% of which are local. Further afield, Magnus Renfrew, another co-founder of Art HK, is launching a new fair called Taipei Dangdai in Taipei in January. ART SG joins a burgeoning roster for MCH: in December the firm acquired a majority stake (67.5%) in Masterpiece London, its first foray outside of Modern and contemporary art. MCH also owns a majority stake (60.3%) in the India Art Fair and a 25.1% stake in art.fair International, the organiser behind Art Düsseldorf, which launched in November 2017.